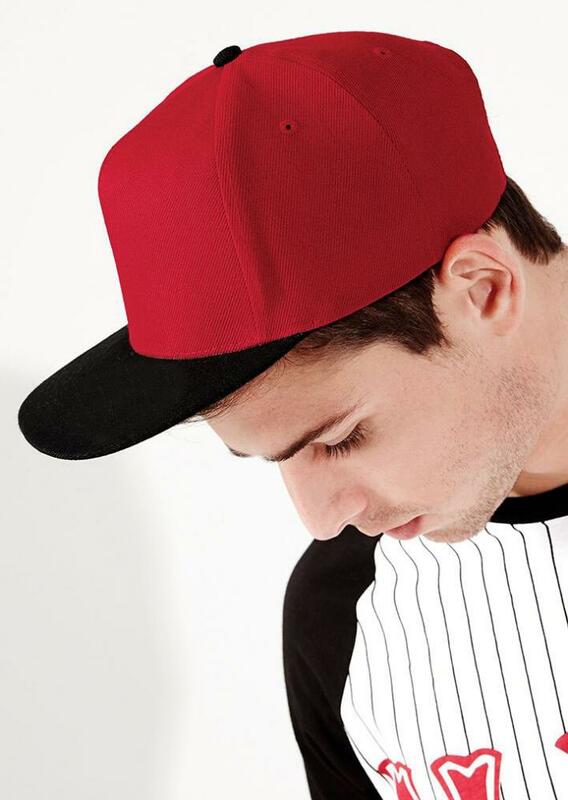 Baseball cap with flat peak and retro snapback adjuster. Traditional green underpeak. 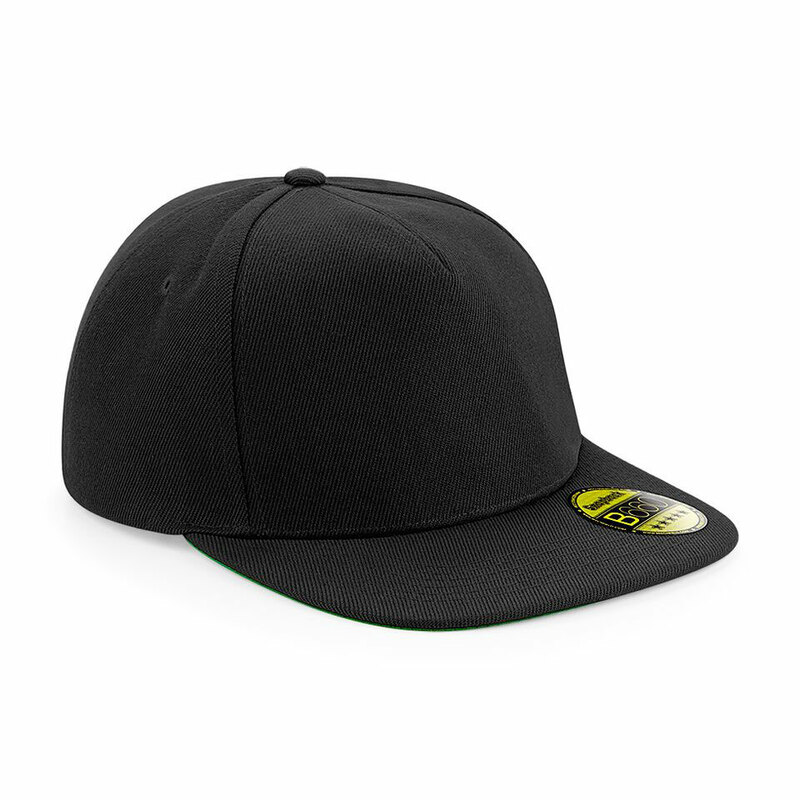 Can be embroidered with a logo up to 50mm in height.